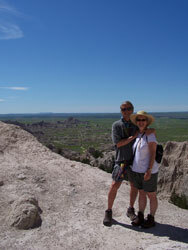 We’ve been on the road as full-time RVers since the spring of 2009, and we’ve been blogging about our experiences since then. We’ve covered a lot of ground, returned to some favorite places and found new favorites in that time, but one thing has remained constant: the challenges and joys of living this unique lifestyle. Other RVers are amused to hear we never RVed before selling our house and everything in it except the dishes, clothes, tools and the few books we could stow in our new home on wheels. We have learned a lot over the years — and are still learning! Posts are made irregularly — we left the regimented, deadline-oriented world when we hit the road, so don’t expect a publishing schedule here. Early on we introduced “Bob and Ellen’s Best Eats,” updating it every year. Bob’s an awesome cook but it’s hard to resist trying different restaurants along the way, and sometimes cooking in the RV just isn’t feasible. We’ve set the bar pretty high, so when a dish makes our “Best” list, it’s met some rigorous standards. We like quality ingredients (organic and locally grown, when possible), a non-smoking atmosphere, good service, and a pleasing ambiance, even if it’s rustic. 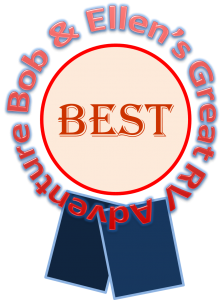 If your place of business has been noted as a “Bob and Ellen Best” and you’d like to include this cool emblem on your Web site, blog, or Facebook page, just e-mail Ellen at ellenbehr(at)aol(dot)com and we’ll send you a jpg or png to use. Thanks for stopping by! Click the option to follow the blog so you’ll get an e-mail when new posts appear. The road awaits all of us! 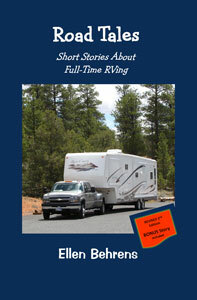 Just discovered your blog info to Alaska- retiring in 2014 , starting research for Rv trip to AK. Excellent! Hopefully it will help in some way — feel free to drop an e-mail directly if you think we might be able to help with something as you plan. It’s a great trip! It’s a long, long drive, but much to see and experience along the way. Question about boondocking stops in AK! You visited Oregon our home & enjoyed the Coast, one of our favorite places! Good minus tide for Razor Clams arriving in May! We love the coast too! Oregon was one of the most forward thinking states I know of — they planned early on to make the coast line public, winding the highway close to the edge and planting all of those state parks along the way. Hooray for Oregon! Feel free to fire off your boondocking questions… you might have the same ones someone else has. 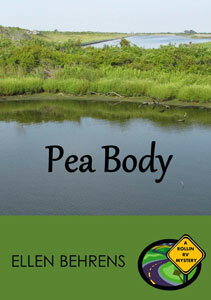 Recently finished reading Peabody and enjoyed your book. 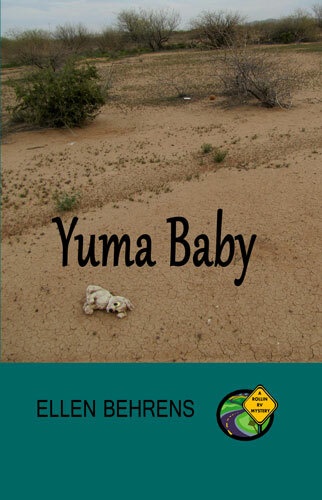 I would absolutely buy your next novel – to share Betty & Walt Rollin’s travels. We have been delayed getting on the road due to health issues but looking forward to spring. I will be purchasing Road Tales for sure. When are you folks going to come up to the great white north? We are in British Columbia and would love to see you in the Beautiful Okanagan Valley. Have safe & happy travels and we love the blog. Thanks so much — we’re glad you’re enjoying the blog! Sometimes we hop over to Vancouver Island when we’re in the Olympic Peninsula in Washington state, but we might not get there this year. Before we RV’d we made frequent trips to Nova Scotia (and have been to New Brunswick and PEI as well) and are hoping to get out there someday with the rig. British Columbia is a stunning province (especially up north) so we maybe we’ll get back there at some point. Where in BC are you? Okanagan Valley. Kelowna. Known for our lakes, hiking and wine. Some of the best bird watching I am told also. Just north of the (notice the different spelling) Okanagon Valley in Washington State. It sounds stunning! We *loved* the parts of BC we got the chance to see, but Kelowna was farther East than our route. I’d love to get to Banff one day, so perhaps we’ll travel through Kelowna then. If so, I’ll let you know! 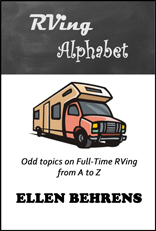 Thanks for sharing your RV life experience. I appreciate the time it takes to write interesting posts. Hope to see you on the road! mark@competentrver.com. Hi, Mark! Welcome to the wonderful world of full-timing! Thanks for stopping by — hopefully you’ll pick up some ideas here. We leave a lot of the nuts and bolts of things to others, focusing instead on the unexpected. 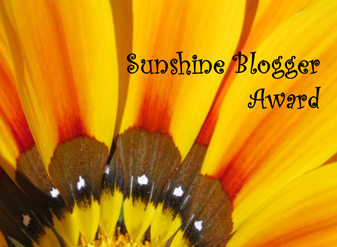 Have subscribed to your blog — looking forward to reading it!